AAA Remodeling & Design is the leading contractor devoted to excellence and friendly customer service. Millions of homeowners trust us for the best quality home building, expansion and renovating. We provide a wide range of services for both residential and commercial clients, and make sure that you get a top notch construction and renovation crew for your money's worth. At AAA Remodeling & Design, we make sure that there is no home building or repair task that we cannot take care of. When you call us, you can be certain that we are the last contractor you will ever need to call. From fixing up your bathroom to ensuring that the kitchen is equipped with modern facilities and the latest modular components, we take care of every aspect of your home. Need a new floor added to your house? We will take care of it! Want to build a new garage for your new car? AAA Remodeling & Design is on the job! 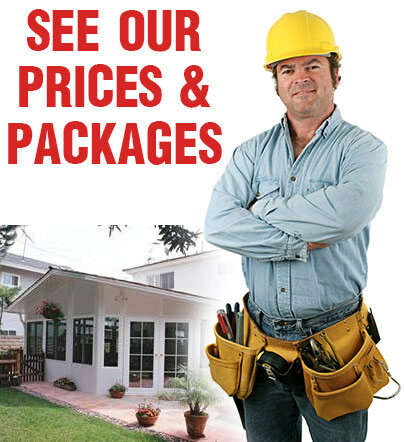 We are the last contractor service you will ever need. Only experienced and qualified professionals are used by AAA Additions, and we make sure that the people you let into your house are trustworthy. Background checks are performed on every employee, and we make sure that only certified professionals work with us. You can count on us to deliver the services that you need, for the prices that you want. We ensure that the construction work is completed within the timeline that we have promised you, while using the very best of materials and supplies. A lot goes into building a home, and no one knows this better than us. Whether you need remodeling services, or you are looking to have some home additions made, AAA Additions offers the complete service package for home building, repair and improvements. We are a trusted name and a registered general contractor that offers home addition services in all counties. Call us now to get services which will satisfy your needs without exceeding your budget. Our experts make sure that you get the best services, and that you get exactly what you had envisioned in your minds. Your home is the one place that should be exactly how you want it to be, and we being a reputed contractor make sure of this!